Level – 2 – For becoming Teacher for Classes VI-VIII: Elementary Stage(TGT) There shall be only one paper. All questions will be Multiple Choice Questions (MCQs) each carrying one mark with four alternatives out of which one answer will be correct. Note:There shall be no negative marking. The aforesaid content & structure of Level-2 is strictly in accordance with the policy laid down by the National Council for Teacher Education. As mentioned above, Section – (iv) is divided into two parts i.e. (a) for Math & Science teachers and (b) for Social Studies teacher. 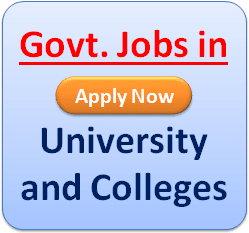 However these two parts (a) or (b) of section (iv) will be optional for Hindi/English/Sanskrit/Panjabi/Urdu/Home Science/Physical Education Teacher(DPE) teachers and therefore every candidate appearing for Level-2 for these subjects will have to fill up his/her option in the application form. Similarly every candidate of Level-2 will have to offer his/her choice of language for attempting 30 questions relating to (iii), while submitting online application. Haryana TET The test items on Child Development and Pedagogy will focus on educational psychology of teaching and learning, relevant to the age group of 11-14 years. They will focus on understanding the characteristics, needs and psychology of diverse learners, interaction with learners and the attributes and qualities of a good facilitator of learning. 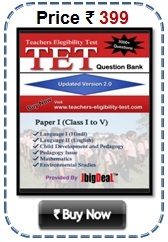 Haryana TET The test items for Language I (English) will focus on the proficiency related to the medium of instruction. Haryana TET The Language II (Hindi/Sanskrit/Panjabi/Urdu) will focus on the elements of language, communication and comprehension abilities. 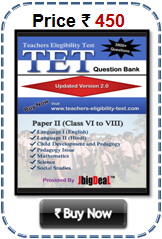 HTET 2019 The questions in the tests for Level-2 will be based on the topics of the prescribed syllabus of the Board of School Education Haryana for classes VI-VIII but their difficulty standard as well linkages could be upto the senior secondary stage.